….But you are scared. What about the financial security you are used to? Could you make it work? What is the demand? What would it be like working on your own? How do you start to make the transition? Think medium or even longer term about what your coaching practice could look like. And I mean ‘look like’. When I first started CCS, I had a very clear vision of what I wanted to do, what gap in the market needed filling, and the values underpinning what I wanted to achieve. Try this exercise we use with our clients: using a large sheet of paper (A1 preferably) and some felt tips or marker pens, put down images or pictures of what you would ideally be doing in your future business. Don’t think about practicalities at this stage. Cover the kind of clients (eg individuals or corporate), the business or client needs you will be meeting, where you will be working, what will be positive outcomes, and the nature of what you will be offering. If you hate drawing, either just draw anyway, but do it quickly! Or, cut out photos and make a collage. Now ,sit down and talk your vision through with a trusted friend or colleague. Or, if you have one, your career coach. Talking it through is key: it can make some far fetched ideas seem more reachable and enable you to get some clarity on your ideas. The next step is what we call ‘scaling’. Giving your future ideal vision a scale score of 10, ask yourself ‘where am I now on that scale?’ A 3 means that you are 30% of the way there. Whatever score you give yourself, just ask yourself this question: ‘what is already happening that tells me I am at ‘x’ on the scale?’ For example, it may be that you are already doing some career coaching. The next question is: “what do I need to do to move just 1 point up the scale?” Give yourself a timeline, and make sure you talk through your plans and how you intend to make them work. If you are to work for yourself, you will want to enjoy what you do. Remember the saying: ‘if you find a job you love, you will never work another day in your life’. What I love is the insight that clients get through the use of my career coaching skills, and the collaborative effort to move forward positively. What would you love about running your own career coaching business? It is definitely worthwhile spending time identifying what you really enjoy doing. Make a list of those times in the last five years or so when you have really enjoyed yourself. Take a piece of paper and divide it into two columns. On the left side write down up to six ‘enjoyable moments’, in or out of work. In the right column, write down what you enjoyed about each one, and what you gained or learned from the experience. Or just make a list of everything you have ever enjoyed doing. Do this quickly, maybe take ten minutes. Now, with either or both exercises, go through them with a highlighter pen, picking out any themes you notice. Better still, get someone else to look at it with you. 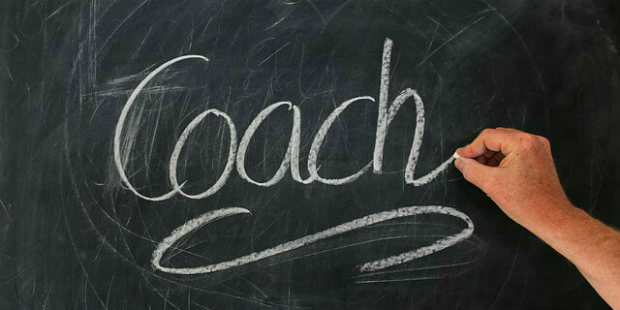 which parts of career coaching do I enjoy the most? does my current work-life (yes, both) meet my enjoyment needs? if not, how could I fill the missing gaps? would working as a self-employed coach/career coach provide the missing enjoyment? What are your USPs – your unique selling points? When you work for yourself as a career coach, trust is crucial. You will get most of your work through your contacts, and so you will want to expand your contacts via satisfied clients, and others who know about you and your value proposition. How will your clients experience a service of value? This starts with identifying your beliefs and values that could underpin your career coaching work. For example, at CCS I believe our role is to empower clients, trainees and organisations to be more self managing in their working lives. I also believe in the importance of establishing mutually beneficial and trusting relationships with our clients, over the long term. One way I do this is by sharing CCS materials with trainees – I am more concerned that CCS trainees used the materials to aid their coaching, not the other way round. I also run an Alumni group for graduates of our training courses, which acts as a forum for shared learning. What are your core beliefs that will inform your value proposition? Remember, there will be lots of times when you need to communicate this crisply, perhaps in a networking situation, so it is worth spending time to get it right. Be clear in your mind about the difference between ‘change’ and ‘transition’. Change is the event – for example, one day you are employed, the next, self-employed. Transition is the emotional process you go through to adjust to that change. It’s takes time to adjust to change. So, give yourself that time. One way is to allow your ideas to evolve through gaining some further experience of the field. This could help to build your confidence. Could you consider reducing your working hours, and developing your business idea and experience during that freed up time? This minimises the risk, and allows you to steer a gradual process of separation. There are a number of ways of using this time: make sure you get properly trained as a career coach to plug any skills or knowledge gaps you have identified. You could write a draft business plan, and get critical feedback (ie not just from your friends and family). If you feel ready, you could begin to see some clients on a pro bono basis. Spend time with people who could be role models for you. Learn from others who have made the shift. When I first started CCS, I made sure I got to know all the key people in the field. I joined our professional association. I began to see from the inside what was happening in the marketplace. I could not have made the move successfully otherwise. People were encouraging by their example. I learned so much from them, and then adapted what I learned into my own style, vision and preference. This also stops you from feeling isolated at the beginning of a new career path. You are welcome to call or email me to discuss your current thoughts. I would be happy to explore your ideas with you. Click here if you would like to know more about our Accredited Career Coach Training.